For anyone who has followed the career of saxophonist Joe Lovano, it might be hard to believe he’s never released an album for ECM Records. Yes, he’s a longtime Blue Note artist whose most recent release — by Sound Prints, the quintet he leads with trumpeter Dave Douglas — can be found on Douglas’ label, Greenleaf Music. But Lovano has been a vital presence within the ECM ecosystem for more than 35 years, on albums by drummer Paul Motian and others. (A couple of those were credited to “Paul Motian, Joe Lovano, Bill Frisell.”) He’s finally about to have an ECM title solely under his own name: Trio Tapestry, which the label will release on Jan. 25. The album features a new band with pianist Marilyn Crispell and drummer Carmen Castaldi, who come with some pertinent history. Crispell is a veteran ECM artist who, like Lovano, had a deep musical connection with Motian. And Castaldi has been a compatriot of Lovano’s since their teenage years in Cleveland; they matriculated the same year at the Berklee School of Music. All of which informs the intimate character of the music on Trio Tapestry, which Lovano composed with attunement to 12-tone techniques. The music on this album is shadowy and supple, designed to drift according to the slightest gesture by any one of the musicians. That art of implication is fully evident on “Rare Beauty,” which has its premiere here. Beginning with a soft rumble of Castaldi’s toms, the piece eases into a melodic line that Lovano and Crispell play together in a free-flowing rubato. It’s very much in tune with the style that Lovano and Crispell each favored in trios with Motian. (It also bears a relationship to the lyricism of Ornette Coleman – which likely explains the title, with its echo of “Beauty is a Rare Thing.”) And the pliable cohesion on display underscores how much this is a collective achievement. Trio Tapestry will be available on Jan. 25. Lovano’s new trio will perform at the Albright-Knox Art Gallery, in Buffalo, N.Y., on Jan. 27. And Jazz Night in America just spent some time with Lovano in Cleveland, for a radio episode that will broadcast in the spring. 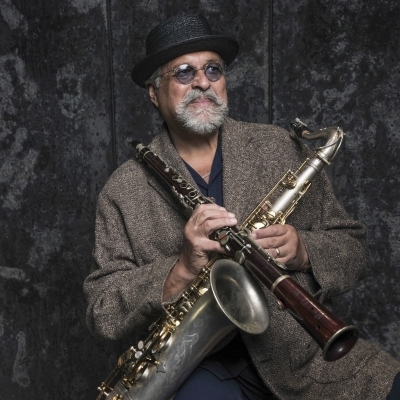 SONG YOU NEED TO KNOW: JOE LOVANO "RARE BEAUTY"